Included at a significant volume, Shea Butter is a concentrated source of natural vitamins and fatty acids, making it incredibly moisturising and nourishing for the skin as well as boosting its ability to produce collagen. A good amount of antioxidants like vitamin E as well as polyphenols and phytonutrients give it anti-inflammatory properties, helping to soothe acne plus irritated and inflamed skin. Strengthening these characteristics are Tocopherol, Sunflower Seed Oil and Soybean Oil, potent sources of Vitamin E as well as Beta Carotene (Vitamin A) which exhibit strong antioxidant properties to protect skin from free radicals. Of particular interest in this group is Astaxanthin which is one of the most powerful antioxidants, said to be 550 times more potent than Vitamin E.
Oils enhance the cream’s efficacy. Squalane helps to hydrate, plump and soften skin and together with its antibacterial nature, is useful for treating conditions such as eczema and psoriasis. Comprising beta carotene, protein, lecithin, fatty acids plus vitamins A, D and E, Avocado Oil helps to moisturise skin, protect it from UV radiation, accelerate healing and also increase collagen metabolism. Boasting antiviral, antibacterial, antimicrobial and anti-inflammatory properties, Caster Seed Oil is an excellent healer. It helps to retard the growth of harmful microbes with 80-90% Ricinoleic acid while Oleic and Linoleic acids provide softening effects and Triglycerides restore the skin’s natural moisture balance. Linoleic Acid and Phospholipids are fatty acids that enhance this activity by lubricating for better moisture retention and strengthening the skin barrier. The salt form of Hyaluronic Acid is known as Sodium Hyaluronate (HA). It helps to hydrate the skin through an ability to bind to water and fill the spaces between connective skin fibres, achieving a plumping effect. Ceramides (Ceramide NP) are included for their water-retention capacity, providing skin replenishing and restoring benefits and Aloe Vera for its ability to soothe, hydrate and heal. It acts as a protective layer on the skin helping to replenish moisture and improve the rate of healing by reducing skin inflammations, blistering and itchiness. Additionally it displays anti-ageing and antibacterial properties due to its high content of antioxidants (beta carotene, vitamin C and E). There are some unusual but useful plant extracts in the formula that contribute many attributes to the cream, commonly delivering antioxidant activity as well as several other benefits. Among them, Eggplant Fruit Extract is rich in vitamins and minerals (potassium, manganese, copper, Vitamin B1, B3, B6, folate and magnesium) and contains phytonutrients. It exhibits anti-iflammatory properties and provides skin conditioning benefits. 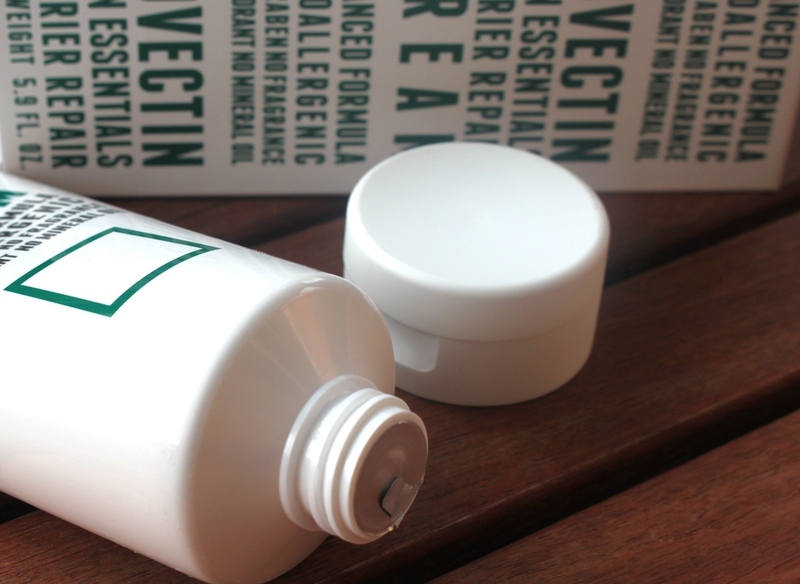 Neem Extract provides excellent skin repair and protection. It is a source of Vitamin C thus promoting collagen production. Its antibacterial properties help to reduce acne whilst anti-inflammatory capabilities calm redness and refresh the skin. Basil Extract contributes soothing and calming effects and reduces puffiness and the appearance of dark circles. Turmeric and Carrot Root Extracts also offer anti-inflammatory advantages, helping to ease skin conditions and accelerate wound and acne scar healing. Niacinamide (Vitamin B3) is restorative ingredient that helps to brighten skin by inhibiting melanin production, treat hyperpigmentation and discolouration as well as improve overall skin tone and dullness. Other notable ingredients include Pullulan which has an ability to provide an instant skin-tightening effect as it adheres to the skin. It is able to quickly form a sheer film that temporarily improves skin’s texture and appearance. Humectants draw moisture from the air into the skin and are well represented by the ever reliable Glycerin. 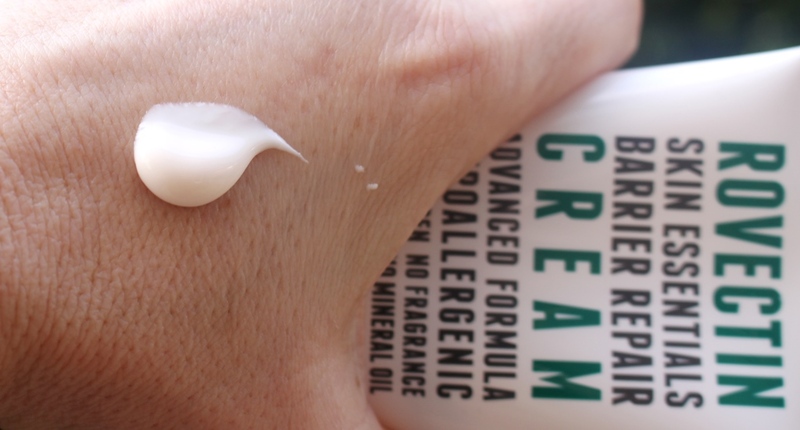 There’s also a range of ingredients that contribute to the cream’s filmy, silicone like texture (Diheptyl Succinate, Ethylhexyl Palmitate, Dimethicone and Capryloyl Glycerin/Sebacic Acid Copolymer) while rounding up the formulation are a range of emulsifiers, emollients and texture enhancers. 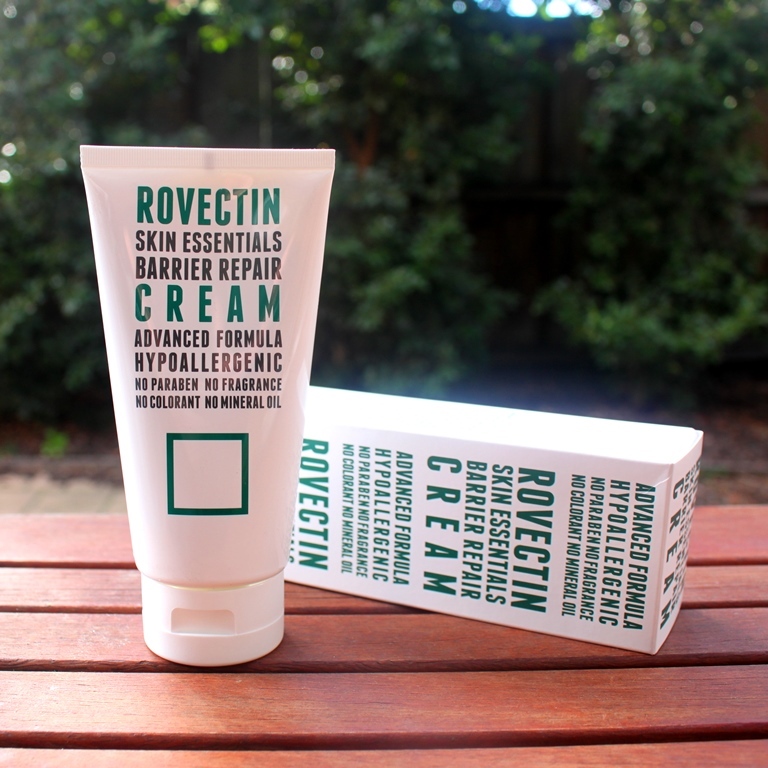 The Rovectin Skin Essentials Barrier Repair Cream is presented in a typical plastic tube with flip top lid and squeeze dispensing action. The lid screws off to ease reach of the last drops of the product. The opening is foil sealed when new to retain freshness and product integrity. An ideal assessment is returned from both the CosDNA and EWG databases, rating the cream a low hazard with no warning flags. After cleansing, apply cream onto face and body. Reapply throughout the day as needed. 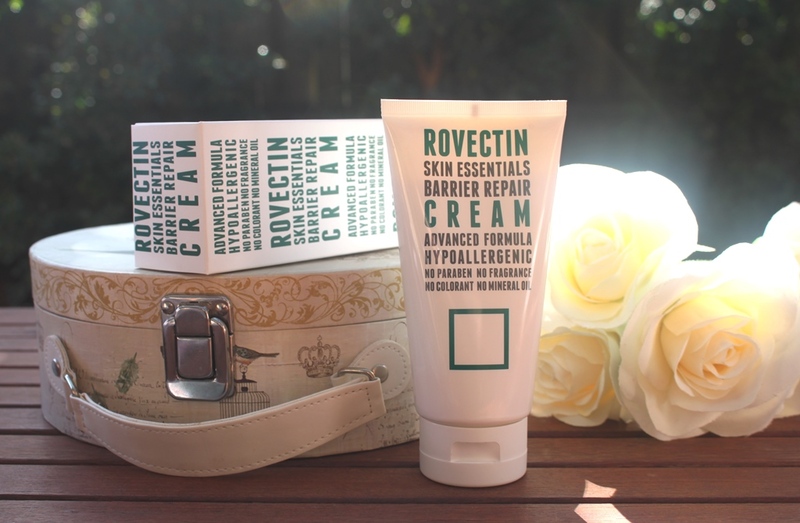 This Rovectin Skin Essentials Barrier Repair Cream has no detectable scent. 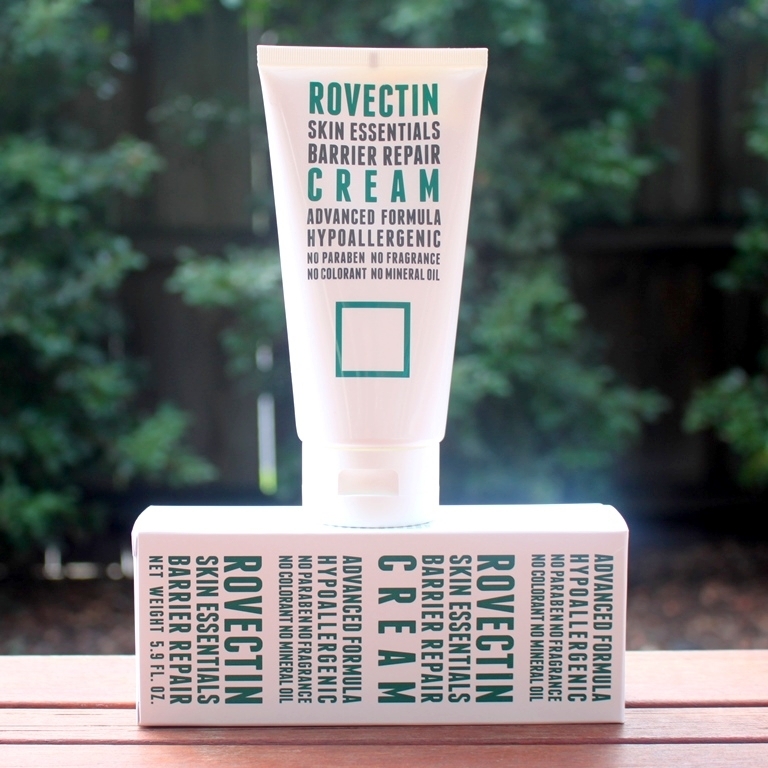 A 175ml tube of the Rovectin Skin Essentials Barrier Repair Cream sells for around US$30 at Style Korean. The cream expires 12 months after opening. Mine has an expiration date of January 2020, indicating an estimated lifespan of two years. 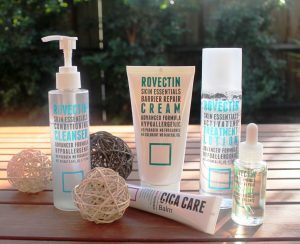 The Rovectin Skin Essentials Barrier Repair Cream is presented in the sort of tube more common to foaming/gel facial cleansers than face creams. Its sheer volume (175ml) encourages me to use it as a body moisturiser. Note, it is recommended for use on face, neck, hands and feet. In testing, I covered all areas. 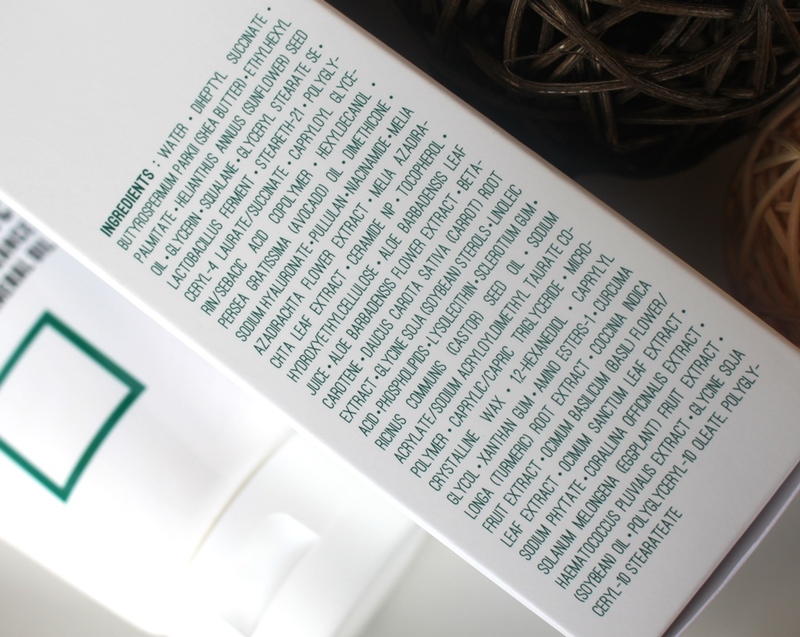 In terms of the composition, it is an impressive list which presents a great combination of powerful antioxidants for protection with moisturising ingredients, ceramides and softening fatty acids to retain and strengthen the moisture barrier. Furthermore, excellent results from both CosDNA and EWG resources verify product safety. The cream has a soft texture and no obvious scent. I use this as the last step of my routine (sleeping pack/mask to follow if relevant). When applying, I dab a small amount onto cheeks, chin, forehead and neck, then gently spread in circular and upward motions to distribute. Although it does sink into the skin well, it lacks a bit of slip which therefore demands a bit more effort to apply. This leads me to my first observation. The packaging and application of this product remind me of sunscreen. In a blind test, I’m sure I would assume that’s what I was applying. It feels thick, a little silicone-y and occlusive on the skin. This is not surprising given the number of ingredients included to provide a filmy texture. However, I personally like my face moisturiser to seep effortlessly into the skin such that I don’t notice any residue or film after application. This cream intentionally leaves a film to prevent water escaping which in itself is a positive aspect. It’s just not a texture of preference. Realistically, given it is a “barrier cream”, I expected nothing different. Furthermore, the barrier it created didn’t block pores, allows my skin to breathe and remain clear without breakout. Regarding efficacy, it certainly helped to trap in moisture for several hours although I did need to top up (once) between day and night applications to ensure my skin felt moisturised over a 12 hour period. Having said that, the product directions do in fact advise subsequent applications as needed: “Apply as often as necessary”. So, referring to the objective of this product, it certainly does adhere a protective barrier over the skin to prevent moisture loss and in doing so, enhances skin hydration. I enjoyed using this more as a body cream than a face cream due to its texture and film forming nature. 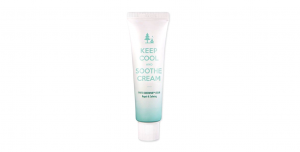 I found it effective as a hand and foot cream, the film enhancing both hydration levels and skin softness. Similar effects were experienced on dry elbows and cracked heals. 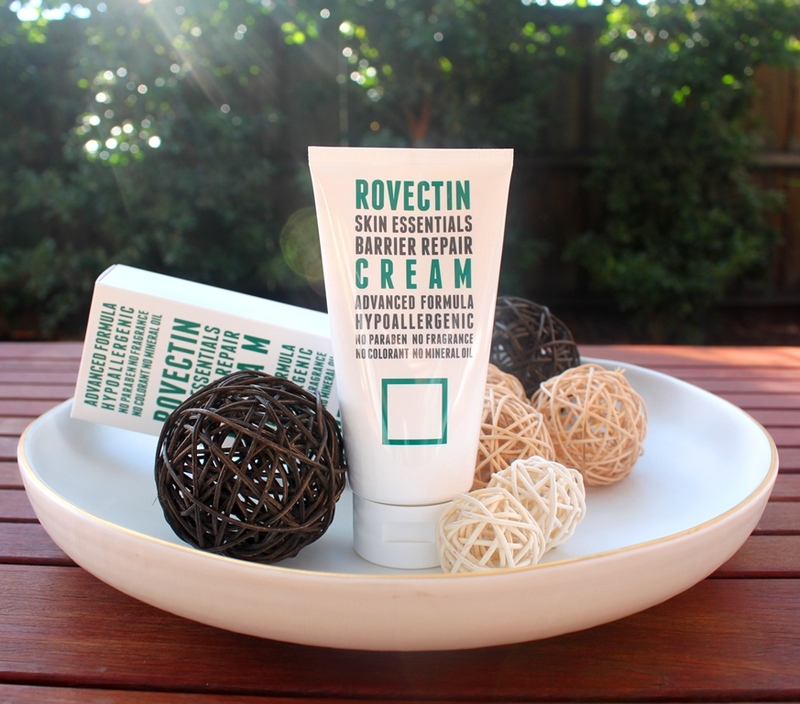 The Rovectin Skin Essentials Barrier Repair Cream is another Rovectin product that does exactly what it claims. 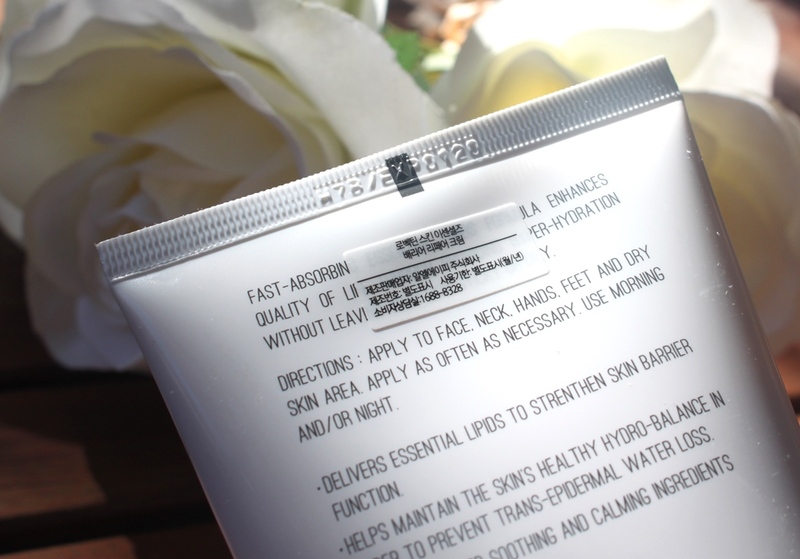 It coats the skin with a protective film to strengthen the moisture barrier and retain/enhance hydration. Combining its hypoallergenic and seemingly non-comedogenic formula with ideal safety ratings generated from a fragrance, colour, mineral oil and paraben free composition, it would certainly suit all skin types.